There’s yet another player getting into the MTB tire insert game. This time it’s Vittoria, which launched the Air-Liner at the Sea Otter Classic. 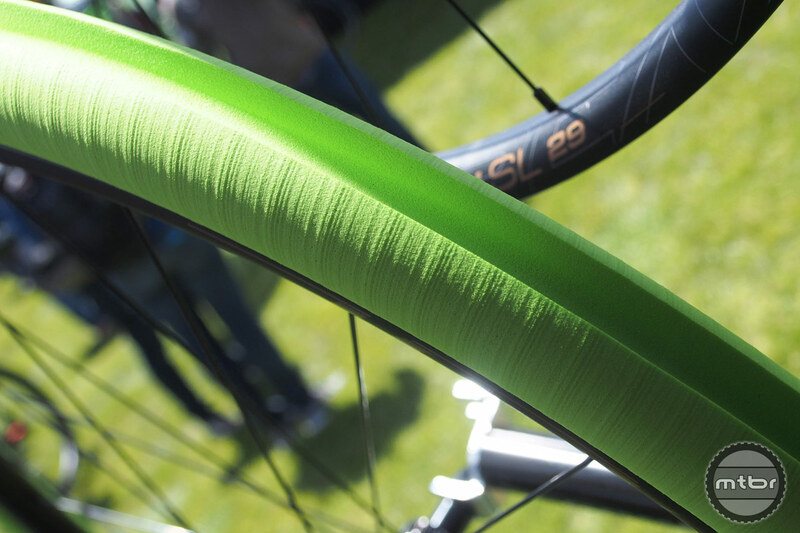 Similar to offerings from Cush Core, Flat Defender, and Huck Norris, the idea with Air-Liner is to lessen the chance of tire puncture, protect your wheels, and enhance overall ride quality by allowing you to run lower pressure in your tires. 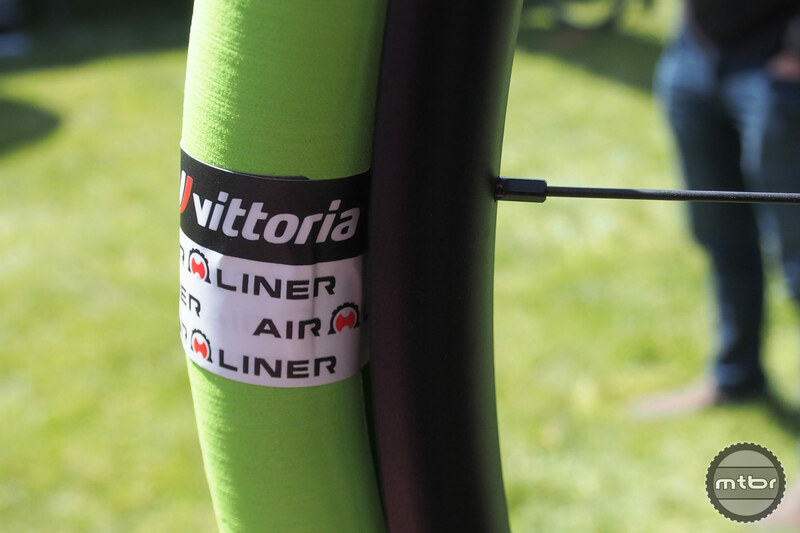 The Vittoria Air-Liner comes in four widths (think XC, enduro, plus, and fat), has a claimed weight of 160g per liner size small when cut for 27.5 (it comes in 29er length), and sells for $170 for a set. 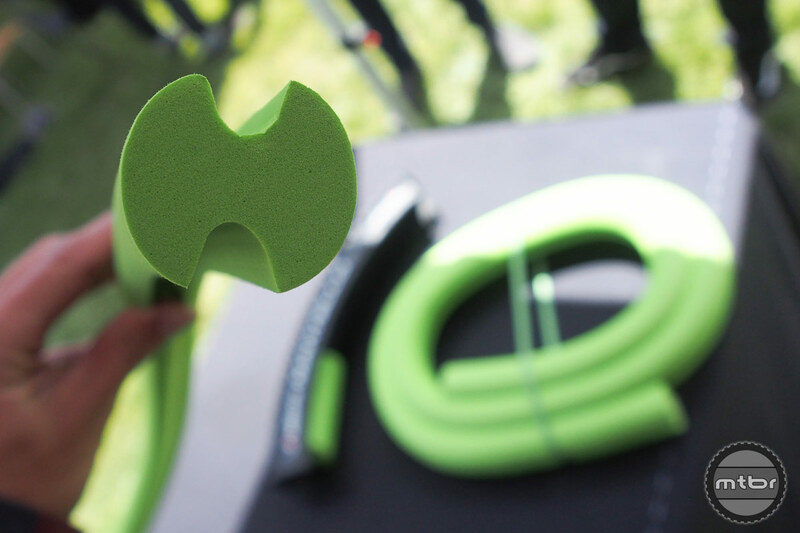 Set-up requires the user to cut down the liner as needed, then poke holes through each end of the liner, attach them together using a zip tie, and then cover up the zip tie with an included Vittoria-branded sticker. Here’s an install demonstration video. 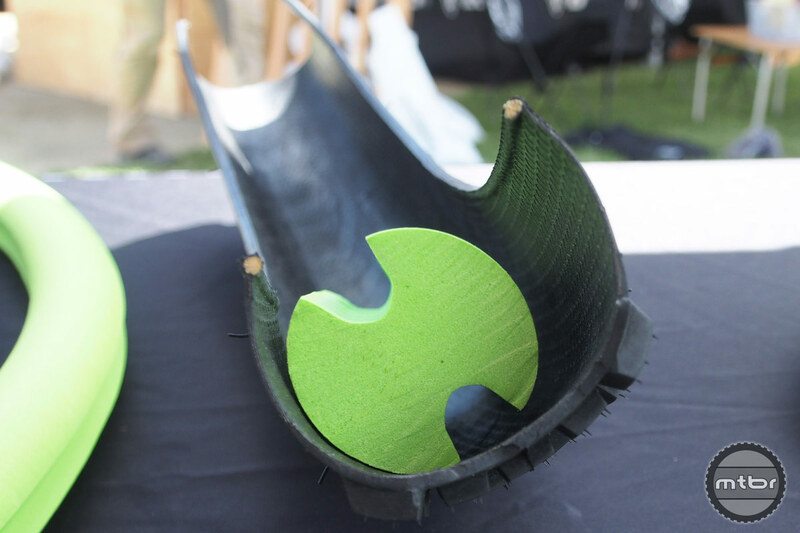 The closed cell foam inserts have cutouts top and bottom that allow it to interface with any size valve stem and creates an air pocket between insert and tire that’s claimed to keep the tire’s tread area more supple for better traction and braking performance. The closed cell foam won’t absorb sealant either. The Air-Liner will be available for purchase starting in June. For more information, visit www.vittoria.com. This article is part of Mtbr’s coverage of the 2018 Sea Otter Classic in Monterey, California. For more from Sea Otter CLICK HERE. i know, it makes no sense. was R&D that much with these? i think it invites these cheap Chinese copy cats to the table at that price. 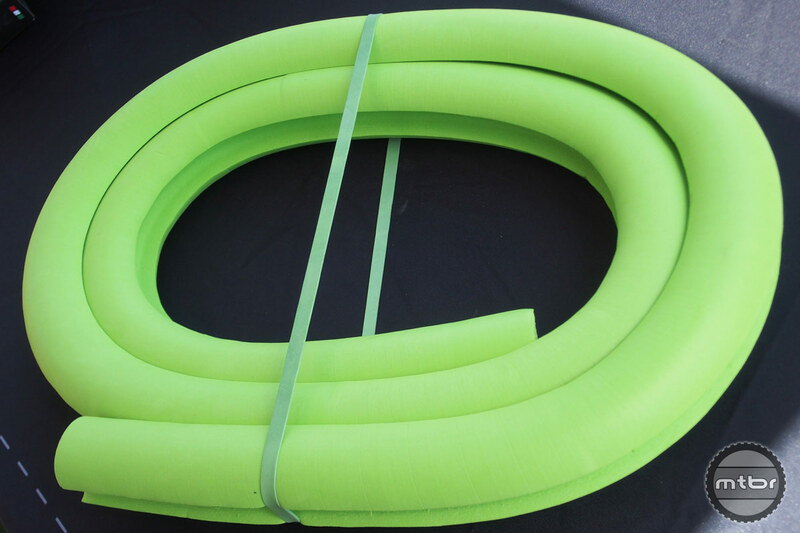 So $170 for a pool noodle?